Mix of glucosamine, chondroitin, gelatin, bromelain and magnesium. 120 capsules per bottle. 30-day supply. I’ve been using Joint Health for many years. I tried another product when I ran out of the Joint Health, and saw a complete difference. My knees were popping, a noise I hadn’t heard in months. I started back on Joint Health and within a month, my knees weren’t cracking. This is a miracle supplement and I highly recommend it to everyone. I run, take Barre and HIIT. I need something effective for my joints. I absolutely love this supplement and will continue using it during my life. I’m 67 years old and don’t need crackling noises in my joints. I have found that by taking the Joint Health supplement I can workout without pain. I have recommended this to my friends. I have taken this for many years and I believe it provides some level of relief. I am still very stiff when I get out of bed in the mornings but the stiffness goes away once I start walking. I generally stay very active so I am always somewhat stiff. I have taken this supplement for approximately two months, 4 tablets a day, with no noticeable difference. I plan to continue taking it for one more month. If no change will discontinue. My rating is based on current results. Thank you for your feedback. You have been a long time supporter of Cooper Complete and I noticed that you used the Joint Health product in 2004. 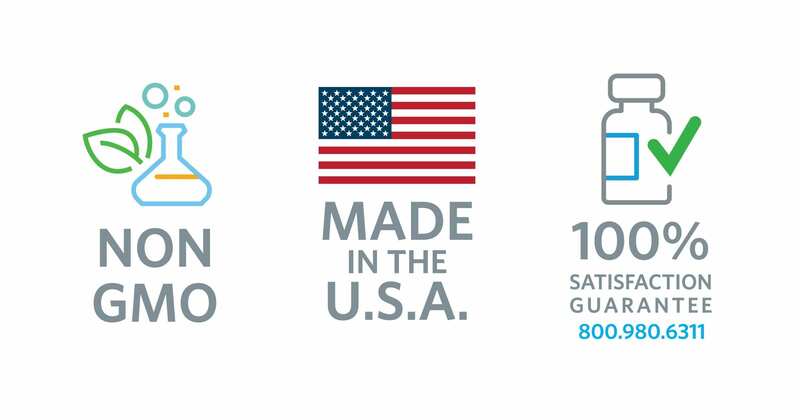 We have updated the formulation since that time to now contain Glucosamine sulfate which has been shown to be a more effective from of glucosamine. About 70% of people find that glucosamine and chondrotin provides relief for those with osteoarthritis. Unfortunately that means about 30% do not experience that relief. I am glad you are going to try for one more month; as in some cases it does take longer than the normal 2 months to see results. Please let me know your results 30 days from now. My husband and I started taking Dr. Cooper Complete Joint Health a month ago and we can already tell a big difference. We do not wake up with joint pain like we did and we are able to be more mobile and pain-free throughout the day. We will definitely continue to take it on a daily basis to help keep the joint pain away. I have been taking Cooper Complete for over 15 years and love it, I am 88 and don’t have any joint pain, yeah!! It definitely helps my knees. I have used this product for some time. Last week I took one and used warm tea. Did not have enough liquid to swallow and the tablet got stuck in my throat. Couldn’t get up or down and finally coughed up part of the broken capsule. Then my throat started to burn from the contents of the capsule. Now worry about the burning and what it is doing to my stomach. Finally kept drinking water and the rest of the powder went down. Not a good experience. I will use plenty of liquid from now on. I think it does help the pain. We are so sorry that you had this experience and do recommend consuming plenty of water when taking Cooper Complete Joint Health for ease in swallowing. We are not aware of any danger this product may cause your stomach and are glad to hear that you have found some relief for your joint pain. If there is anything else that we can do to help, please contact our team at customerservice@coopercomplete.com. Thank you! I have been taking the Cooper Joint Health continually for over 8 years. With the Cooper products, I don’t feel like I am wasting my money on lower-priced products that contain fillers and lower quality ingredients. Also, this product works great! I was first diagnosed to need a hip replacement by Dr. Cooper in 2000. He and I agreed I would hold off until I could no longer do (or want to do) aerobic exercise. I have taken Joint Health since then. I had hip replacements in 2011 and 2014 and continue to take the supplement. I now walk/run almost every day and have little problem with my hips or knees. I did a half-marathon last week. I’ve been taking this supplement for a decade. When my doctor told me I had no cartilage in either knee, he suggested it. I’m relatively pain-free and still don’t need surgery. I have used these for 9-12 months. At first, I took 4 per day then went to 2 per day. Now lately have been hurting more so have gone back to 4 per day. Does help with the pain and stiffness. I found that this supplement really helps my knees and hips. I have much better movement when on it, then when off. I did my own trial with this supplement. Definitely won’t stop again. I don’t realize how much this product helps with my joint pain until I forget to take it for a couple days, then my pain returns. Great product that helps reduce my joint pain, and having been to the Cooper Clinic, I trust the research behind their great products. Been taking it for years and as a runner for the last 45 years or so I am lucky enough not to have knee problems (now if only there were a pill for tendons). So, it’s hard to argue from a negative example, but I am. Others in my family do have arthritis. The main things I’m interested in are more movement and less pain. With Cooper Complete Joint Health that’s exactly what I get. Whenever I hear anyone complaining about their arthritis – and many do at my age – I tell them to take Cooper Complete Joint Health. It’s helped me get more out of life. an amino sugar that is the fundamental building block of the molecules that attract and hold water in cartilage. helps promote water retention in the cartilage, which is essential for shock absorption. An extract from the pineapple stem, bromelain acts as a natural anti-inflammatory. Studies have found associations with higher magnesium levels and lower rates of knee arthritis. 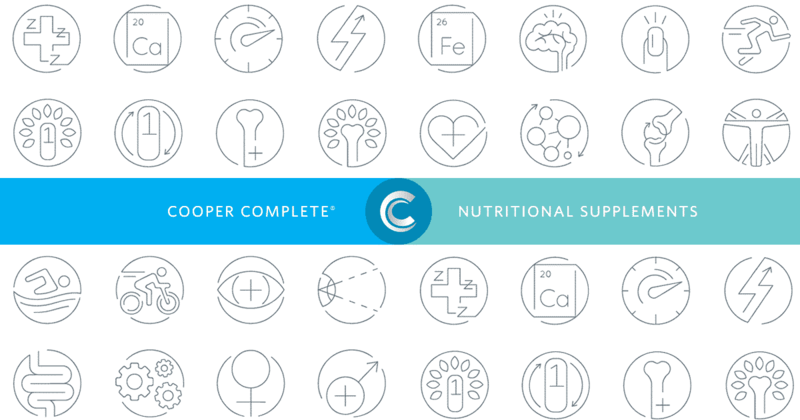 Cooper Complete Joint Health Supplement is Gluten-free and Non-GMO. The daily recommended daily serving of Joint Health Supplement is four (4) capsules in divided doses or as directed by your health care professional. 120 capsules per bottle. 30-day supply. Other Ingredients: Hydroxypropyl methylcellulose (capsule), hydroxypropyl cellulose, silica, and vegetable stearate. Warning: If you have an allergy to shellfish (including crab and shrimp), you should not use this product. Glucosamine is derived from shellfish. How will I know if the Joint Health Supplement is helping me? Research indicates that it takes up to two months to begin feeling an improvement in osteoarthritis symptoms such as pain, inflammation and joint mobility from vitamins for joint health. What is glucosamine derived from? Glucosamine Sulfate 2KCI is derived from the shells of crab and shrimp. What is chondroitin derived from? Chondroitin is derived from bovine cartilage. Is Joint Health safe to take if a woman is pregnant or nursing? At this time, we do not encourage the use of glucosamine and chondroitin for women who are pregnant or nursing. If you are taking Coumadin or Warfarin, we recommend consulting your doctor before adding to your diet any supplements for joint health.